One of the major problems I have in trying to get anything done, creative projects or otherwise, is that I get too caught up in planning and wanting to make sure that the tiniest details are perfect that it takes me forever to start or finish a project. (Anyone remember my nataraja quilt idea? I *still* haven’t quite figured out what I want to do.) As an exercise in just letting creative juices flow and not letting myself over-think, I decided to just do something. 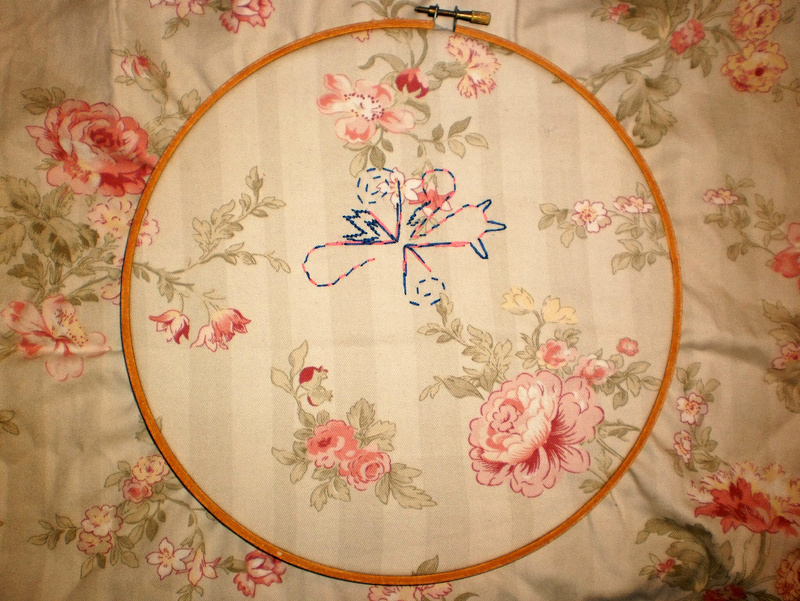 I grabbed the first spare piece of material I had (the mate for the pillowcase I used for purse lining), a small embroidery hoop and some embroidery floss and just let my hands move. Kind of like doodling. It was free style embroidery with no rules and I just sat from the outside looking in as my hands and the needle did whatever they felt like doing. It was a very freeing exercise, even if the end result wasn’t exactly all that pretty. I’m still not quite sure what to make of it, if anything. The Finished Purse Yields Paid Work! It’s been roughly a month since my last posting. I have since finished the purse I was working on (see parts 1 and 2) and after I took it to work, one of my co-workers paid me to replace the zippers in one of her higher end purses (and I am happy to report that she was pleased with the results). Around the same time, I had responded to an ad on Craigslist looking for a seamstress to do some custom work, and that sucked up about a good two weeks between design, production and fine tuning, but was worth it. Anyhow, here are the photos of my purse! 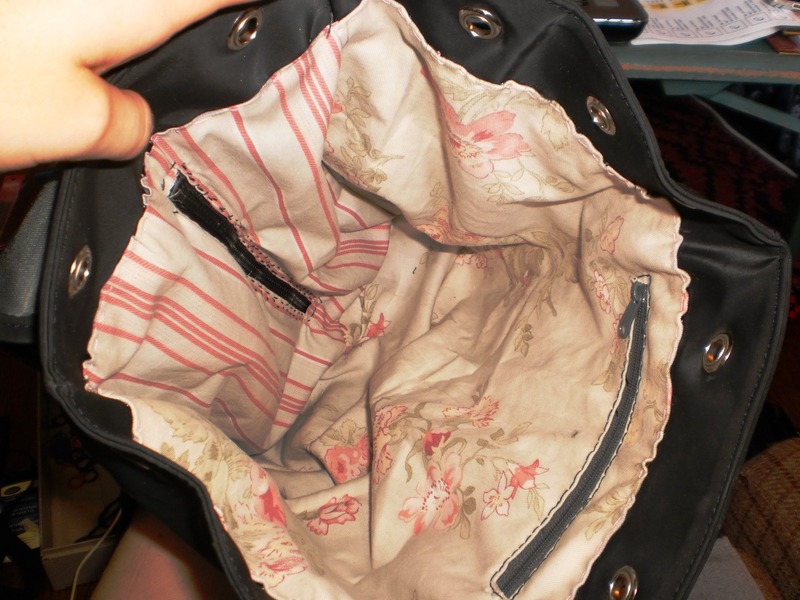 The inside of the finished purse, from the top opening. 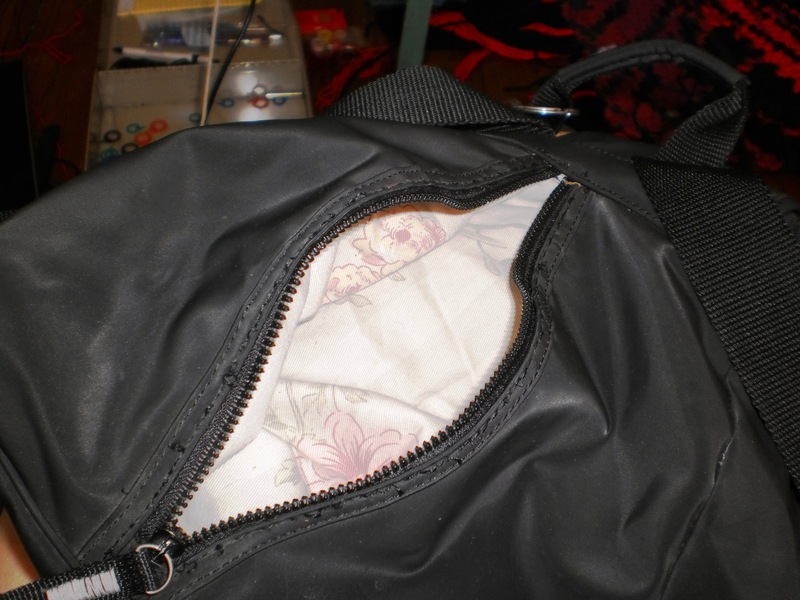 You can see both the inside pocket zipper and the back zipper. 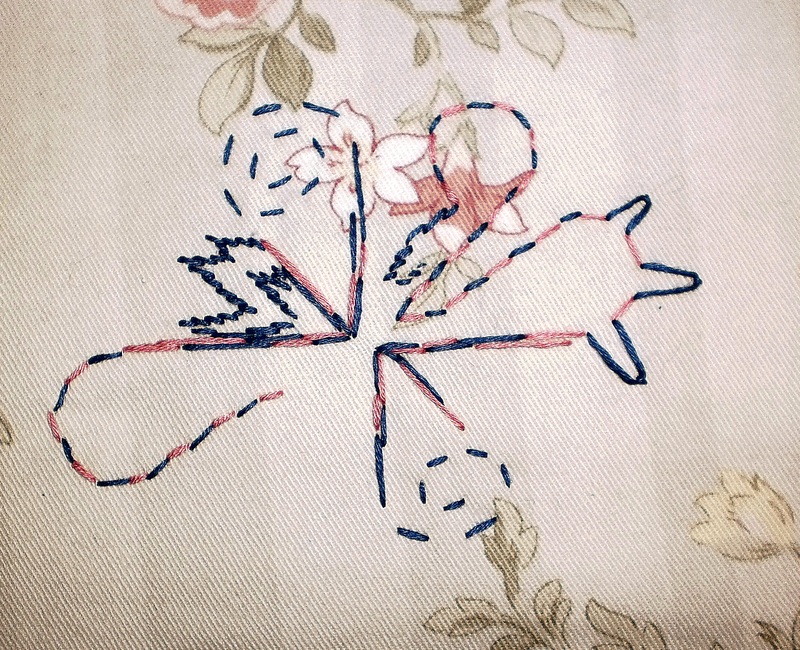 The pillowcase turned out to make quite a nice lining indeed. The purse from the back opening.